Well, it’s official: fall is here again and I for one am happy it has arrived. Although I love summer with its carefree rhythm, warm days, easy fashion and simple fresh foods, I am always more than ready when the days begin to shorten, the nights cool off for perfect sleeping weather, I get to pull out my favorite boots and corduroys(like old friends) and pore through my many cookbooks looking for hearty recipes to serve to family and friends. Fall is also the season to bring out the tea kettle and sip on many varieties of tea throughout the day. Personally, I tend to drink hot tea all year round but I find it particularly appealing once the days and nights begin to cool. I like to keep a wide assortment of teas in my cupboard at home, as well as in my office at work. As a small child, my mother introduced me to the joys of a great cuppa, although in our family we could choose from orange pekoe tea with either milk and sugar or with fresh lemon and honey. I didn’t venture into ‘herbal teas’ until the early 1970’s when companies like Celestial Seasonings made a wide variety of yummy and nutritious teas. 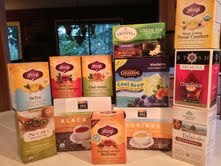 Once I discovered my first ‘health food store’ back on Long Island in 1973, I was in tea and food heaven! I have passed on the tradition of tea drinking to my own children, who both also love to drink a hot cup of tea on a cold morning or evening(or afternoon for that matter). The most wonderful thing about tea is not only does it taste yummy, but now we are discovering how great it is for our health. As many of you may already know, all different colors of tea are good for you: green, black and herbal but probably the one that has gotten the most attention is green tea. We now know that green tea is rich in EGCG(epigallocatechin-3-gallate): this is a compound that blocks a particular enzyme needed in the digestion of starchy foods. If you drink the recommended amount of green tea( 1 and ½ cups) while eating a meal or snack high in starches, your blood sugar will only increase by 50% of its normal rise. This is very important in terms of helping to prevent insulin resistance, which is a precursor to developing Type II Diabetes. In addition, studies have shown that drinking 3 + cups of green tea per week for 6 months(not even per day, although other studies have shown even greater benefits if you do drink more! ), women will have a 14% reduction in developing cancers of the digestive system. 2 cups of green tea/day helps to shrink your waist and causes a reduction in overall fat and weight. And if that’s not enough to get you to drink green tea on a regular basis, EGCG stimulates the growth of neurons in the part of the brain called the hippocampus, which is involved in our memory. I know that all of us worry about our weight, our risk of cancer and diabetes, and also the loss of memory, particularly as we age. Some people complain that green tea can be a bit bitter so I encourage you to find a type that you like. I agree that sometimes I have found it a bit difficult to get down, but I love a blend that has jasmine and green tea as well as those that have some mint blended in, or are combined with chai tea spices. 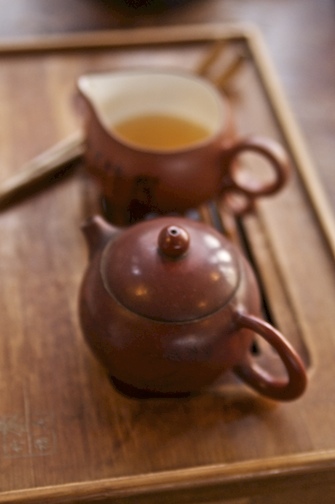 Tazo makes a lovely blend called “Zen”, so aptly named, as it gives you a warm mellow feeling. And green tea has a much lower content of caffeine that black tea does so it shouldn’t make you feel jittery or have difficulty falling asleep. So get your kettle, some of your favorite mugs and tea out and warm up your insides while treating yourself to some amazing health benefits. It’s a lovely way to usher in the ‘contemplative season’, a time to reflect back over the last year and nestle in while dreaming of the months and year ahead.